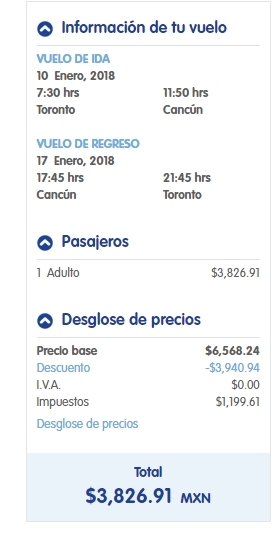 Interjet has dropped the price of their non-stop flights from Toronto to Cancun, Mexico down to between $270 and $310 CAD roundtrip including taxes. If you're comfortable booking in Spanish, you can book these flights for $270 CAD roundtrip. NOTE: There are also some booking sites on Momondo and Skyscanner showing these for about $22 CAD less than the Interjet website. The price should show up as $3,826 pesos for a roundtrip flight. 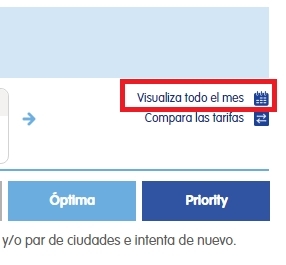 If not, you can click on 'Visualiza todo el mes' to open up the calendar view and look for the date combinations that add up to around $3,800 pesos roundtrip. 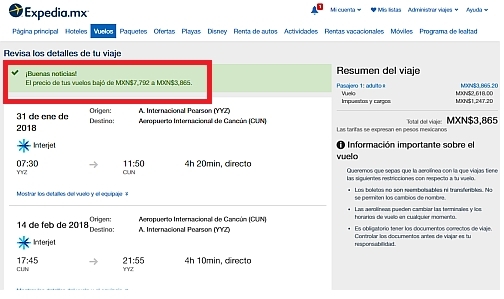 When booked with a Canadian credit card, $3,826 pesos will work out to $270 CAD roundtrip based on today's exchange rate, and including the typical credit card foreign exchange fee. - Follow the instructions in this blog post. Use the dates shown below. 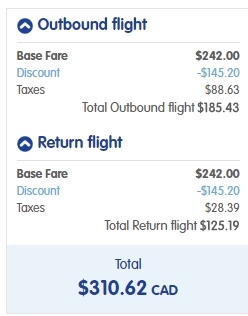 - If you follow the instructions for booking these flights through the Canadian currency version of the Interjet website, you can book them for $312 CAD roundtrip. - If you follow the instructions for booking these flights through the Pesos currency version of the Interjet website, you can book them for $3,941 Pesos roundtrip, which will work out to $273 CAD roundtrip. - You can also try searching for these dates on the Flightnetwork website. They are showing them for $267 CAD roundtrip. - Follow the instructions at the top of this blog post. Use the dates shown below. - If you follow the instructions for booking these flights through the Pesos currency version of the Interjet website, you can book them for $3,977 Pesos roundtrip, which will work out to $273 CAD roundtrip. toronto, yyz, cancun, mexico, cun, north america and interjet. 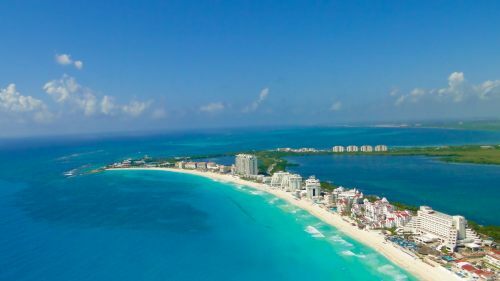 6 Responses to "Toronto to Cancun, Mexico - $267 to $310 CAD roundtrip including taxes | non-stop flights "
Although I don't plan to fly to Cancun at this time, thanks for this interesting post. Booking in a currency different than USD or CAD is a big unexplored territory for savings, unfortunately only seldom reported at travel deals sites. (Which I totally understand-who has time to do conversion, especially at sites with payment available in 10+ currencies). But I would like to encourage fellow travelers to explore this in the future if they are going to grab some deal and inform the community if other currency offers better final price. Thanks Grandson. I'd say it's somewhat rare for booking in another currency to be much cheaper. To the point where trying a bunch of different currencies is often a waste of time. It usually works out to be the same in $CAD. But it does happen sometimes with certain airlines. WOW Air is another one, the flights home from Europe priced in their local currency and converted to $CAD are generally cheaper than booking in $CAD. When I try to book I Spanish the site won’t accept my Canadian postal code. We’re you able to by pass this? Or you could try the 'postal code to zip code' conversion trick that works for U.S. websites. Jose, please do let me know if your Canadian postal code works on the Spanish site. Planning to do it as well. Thank you. Machi: I've heard from a few people who told me they just used a 5 digit postal code from Mexico on the Spanish site on the ''Buyer/contact' page. example: 77500 is the postal code for Cancun.